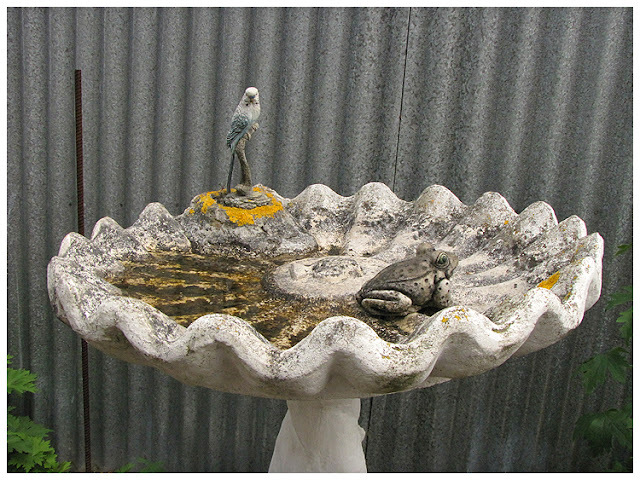 These pictures are from the totally charming garden of Mr and Mrs Emmerson. It's what I would call a "normal" sized section, but the space is so well used - not a square metre is wasted! I noticed a great use of stepping stones in this garden. 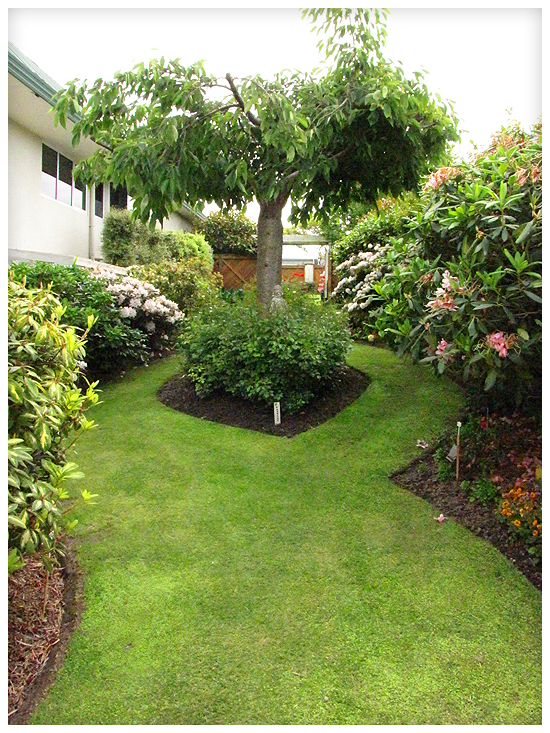 They've been placed to link to focal points, as well as providing access for weeding and tidying. 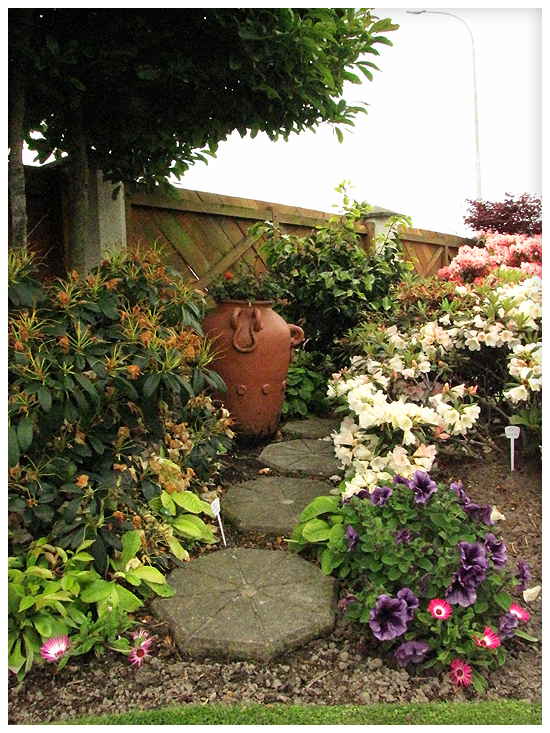 Stepping stones also help to ground this wheelbarrow planter. 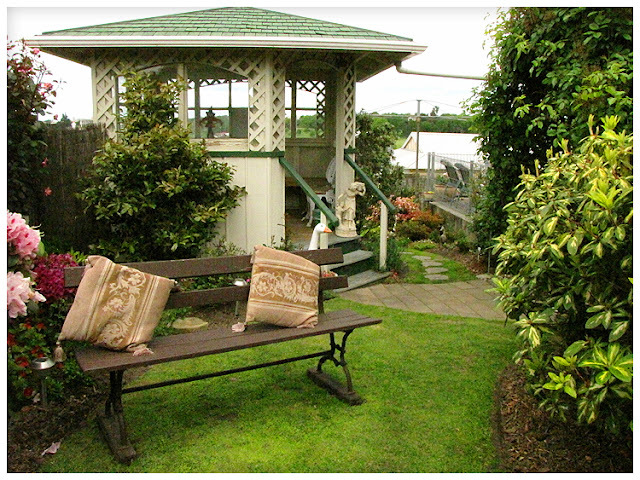 A sweet little summerhouse has a harbour view from its back windows. Facing away from the summerhouse, this narrow stretch of grass has a boat shaped central bed and sinuously curving paths. I love how there is so much movement in this small space. This seems to be a garden for all seasons, with rhododendrons finishing off and roses and peonies waiting to take their place. 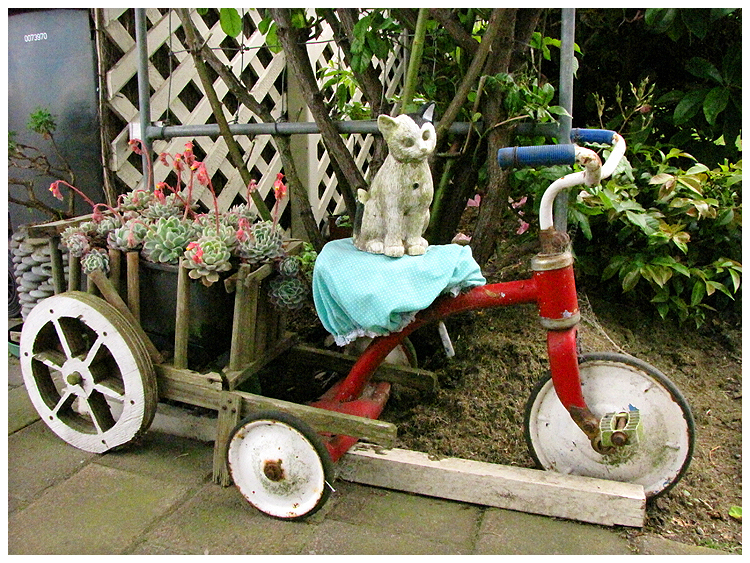 There is lots of whimsical garden art, but my absolute favourite is this stone cat riding a vintage tricycle. Oh, do you think Lui would like it if I got him a tricycle? The garden walk was in some ways a week too early, at least if you wanted to see peonies. They were in all the gardens and they were mostly still all in bud. So when I saw one in flower, I photographed it madly! 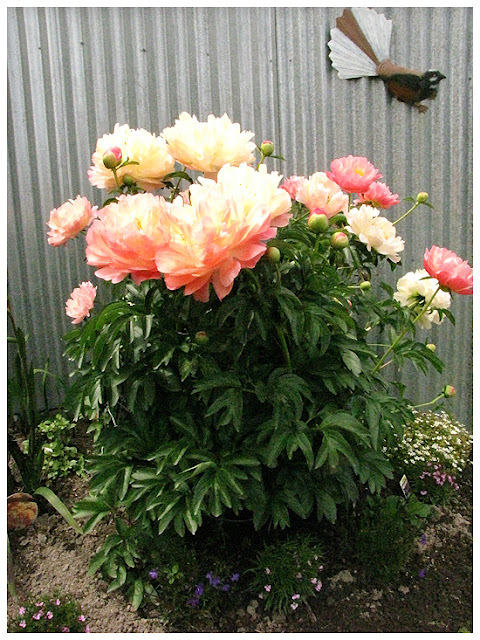 This is a tree peony - not sure if they flower earlier than regular peonies or if it was just in a good spot. 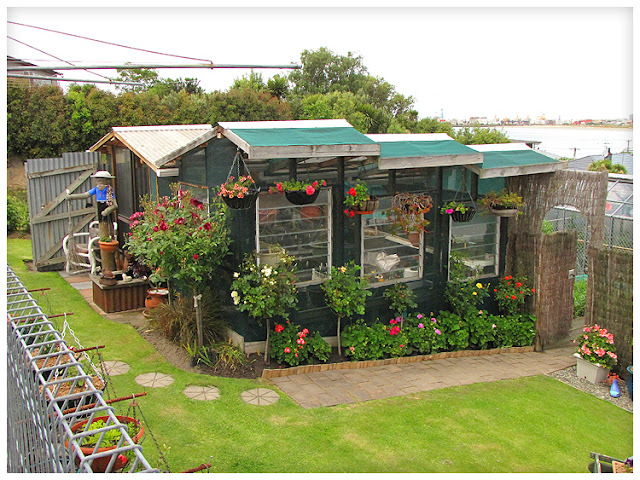 This property has three glasshouses (with a fourth looking like it was being built), two sheds and a summerhouse. They were all being put to excellent use. 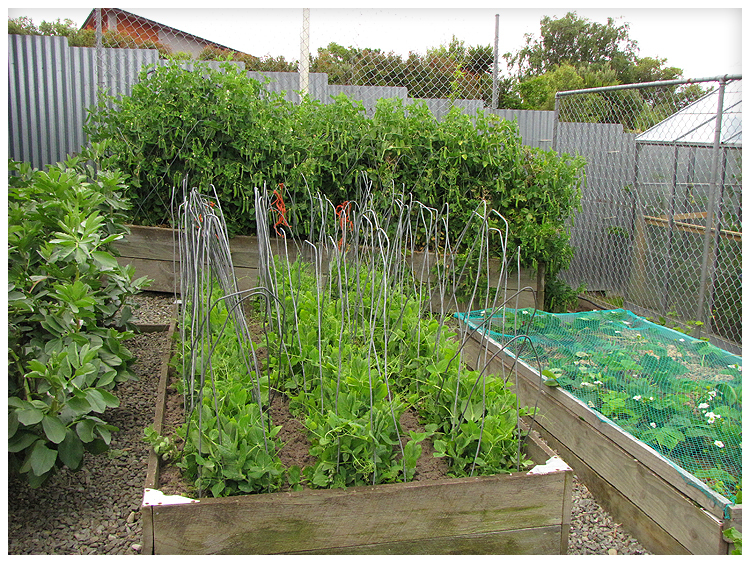 There is also a thriving vege patch. I photographed the peas as a note to self - bent metal sticks will be a lot easier next time than tying up cane teepees. I took away a lot of lessons in focal points from this garden. 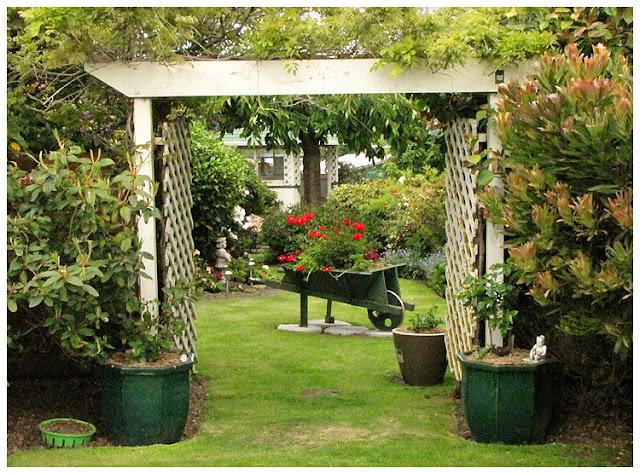 I can see why you chose this garden to write about and to photograph. It is beautiful - and so is your photography. I also use a vintage tricycle in my garden as art; mine "pulls" two vintage wagons full of flowers at the base of our King Maple tree. My garden is located in Michigan's USDA Zone-5b garden. I hope you will stop by to see my garden cottage; the post is titled 'Time to hibernate'. Thanks for visiting and commenting Debra! I'll definitely pop over to check out your garden cottage. 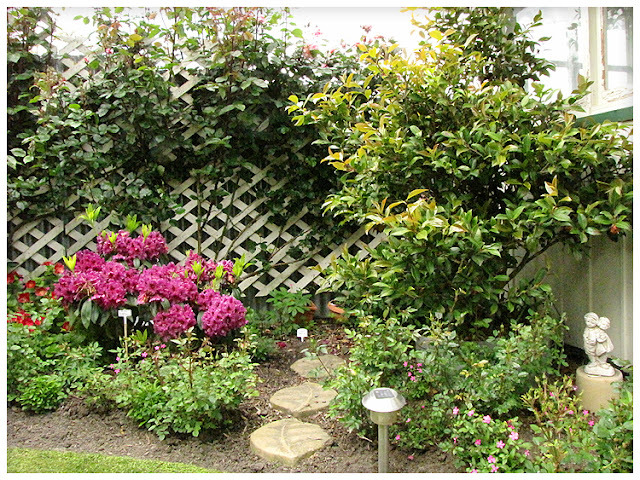 Wonderful garden! I could stare at it for hours! You're a very lucky person! Merry Christmas and A Happy New Year!